I woke early at 5:30 am for the nearly 4 hour drive to Haa. This is a region of Bhutan that is much less populated and the mountain wilderness is unforgiving. Haa is very pristine and a beautiful valley in western Bhutan. The river Haa Chhu is rather fast alpine river in altitude of approximately 2.700 meters. Due to this altitude it’s better fishing this time of year in the second half of April and in May or in September, otherwise it can be unpleasantly cold. My fishing buddy Jamyang hadn’t fished this stretch of the Haa Chhu river in a year or so he was excited to scout the area again. 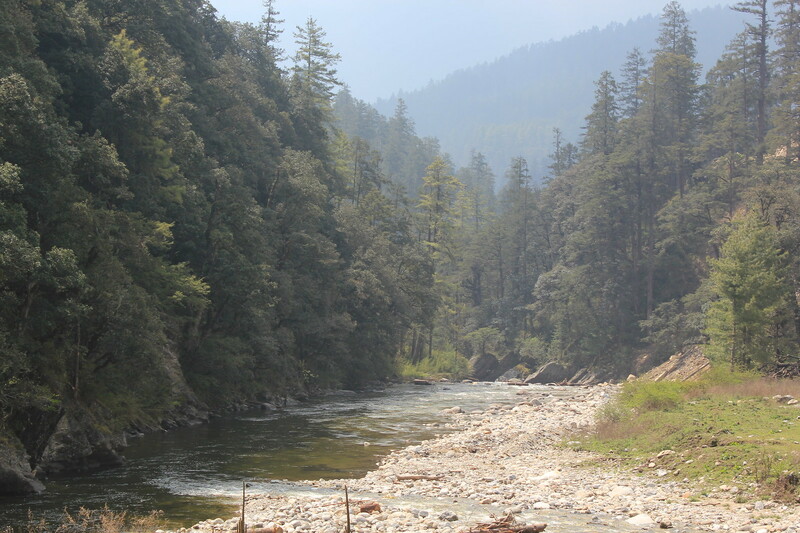 Fishing in Bhutan is restricted to certain rivers and some places like the entire Punakha and Wangdue districts, and Chamkhar chhu river in Bumthang are off-limits for fishing. Fishing remains underdeveloped since fishing for sport is unethical according to Buddhist traditions and its simply not an activity that most practicing Bhuddists take part. Catch & release fishing with barbless hooks are the preferred methods, no live bait is permitted since using live bait like a worm causes suffering on not only 1 sentient being but 2. according to Bhuddists beliefs sentient beings are composed of the five aggregates, or skandhas: matter, sensation, perception, mental formations and consciousness. It is only recently that the government is providing day permits to tourists. Fishing is allowed on most of the rivers on special permits which has to be applied in advance. There are some limitations like that the recreational fishing is not allowed during the important religious days and in the vicinity of temples and monasteries.